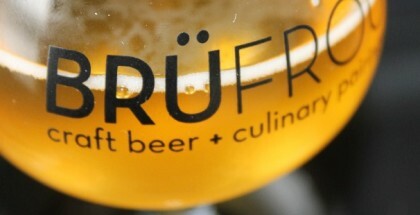 Building upon the local celebrations, BrüFrou aimed to elevate craft beer to the next level by pairing it with culinary excellence. 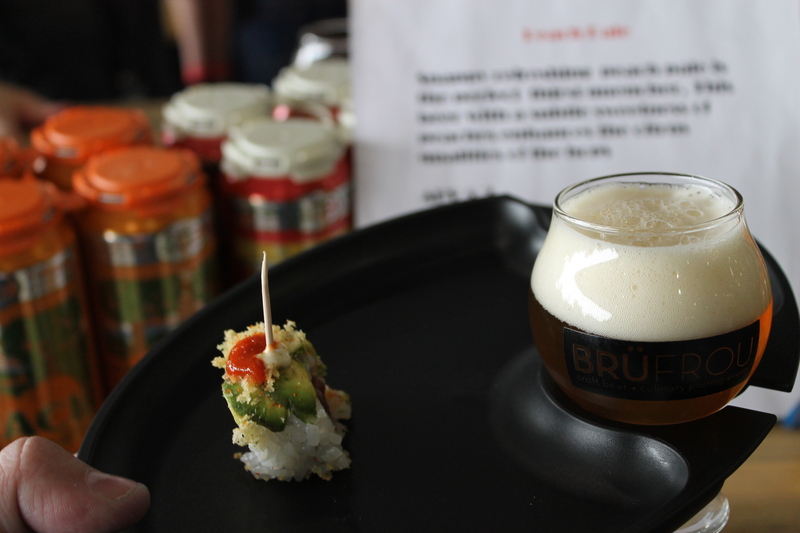 BrüFrou [broo-froo] is the craft beer and food pairing event for foodies who appreciate the nuances of tastes, scents and textures… but there’s more to BruFrou than meets the eye…and the tastebuds. The inspiration for BrüFrou is Colorado’s vibrant local roster of community beer and food events revealing an inflection point on the scene. Craft beer has moved main-stage, no longer a sidelined curiosity. Building upon the localized celebrations, On April 19th, from 11 AM to 8 PM, BruFrou did just that. 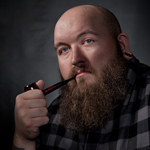 Elevate the scene to a new level and brought out many a craft beer gourmand. 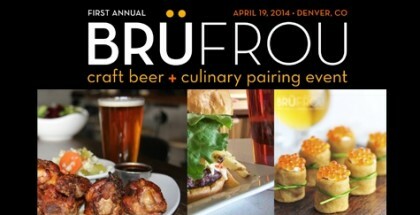 BrüFrou was not your ordinary food and beer event. With 40 Colorado brewers and 40 Front Range chefs to combine their best talents and strike a tantalizing balance, Wings Over the Rockies was the perfect venue to host the event. 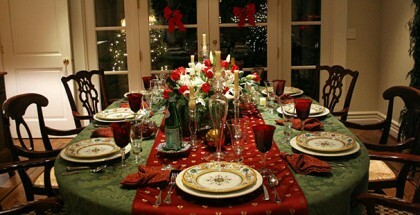 With each pairing situated at its own table, we were greeted with a simple layout and a smooth ease of use as we moved from station to station. 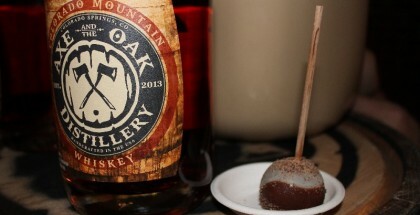 Culinary and brewing excellence is without bounds in our pioneering state. 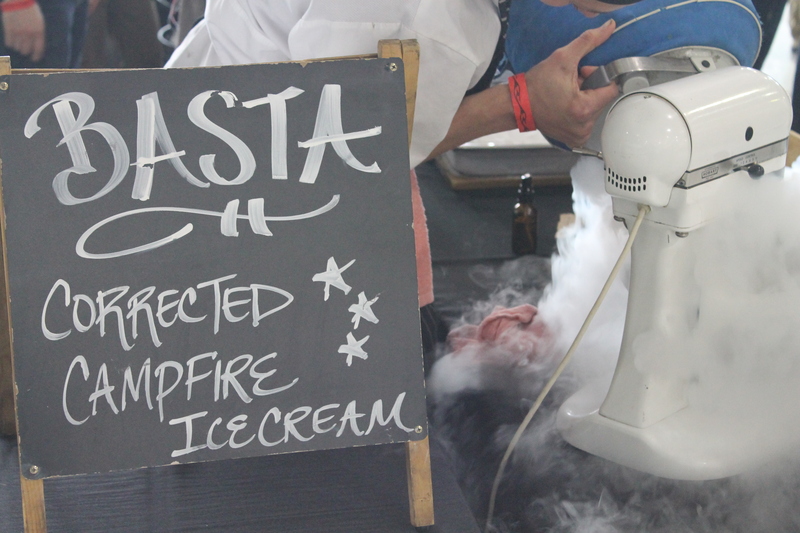 The creativity of the participating chefs and brewers is deliciously inspiring. The morning session had just over 700 tickets sold and boasted plenty of room for folks to move to and fro throughout the venue without bumping into anyone or feel like we were being herded into a specific area. The BrüFrou experience was large enough for the aficionado yet welcoming to those just starting their adventure in the world of expansive tastes, scents and textures. Some newcomers were behind us in line and although they had trepidation coming into the pairing, when we saw them on the way out, they reported that they felt like they have been doing this for years. BrüFrou moved participants through the line and into the expansive Hangar No. 1 at Wings Over the Rockies offering a tasting tray that you could slip your beer sample glass into. The menu was printed out and provided a map of the layout. 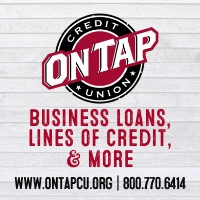 Participants sampled unlimited, uniquely curated food and brewed pairings hosted in the 1939 built WW II-era hangar in the heart of the nostalgic Lowry Community of Denver from 11am – 3pm. Crystal Springs Brewing Company’s Wuerzburger Helles Bock paired with 1515 Restaurant’s Sou Vide Berkshire Pork Belly with Popcorn “Pillow,” Elderberry, Pickled Mustard. 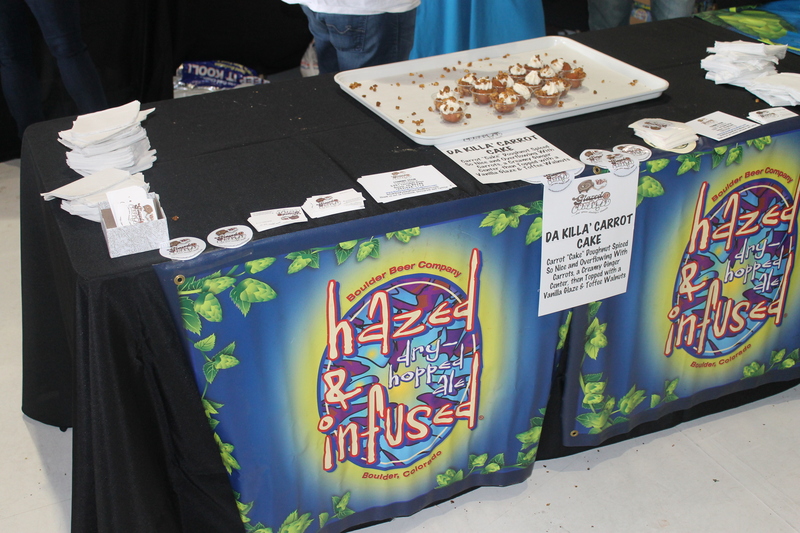 Boulder Beer’s Hazed and Infused dry hopped ale paired with a Glazed and Confuzed “Da Killa’ Carrot Cake’ donut. Carrot “cake” donut spiced so nice and dressed with ginger infused cream and topped with toffee walnuts. City Star Brewing’s Red Nektar (American Red Ale) paired with Lowry Beer Garden’s Elk Jalapeno Cheddar Brat topped with roasted poblano peppers and chipotle mayo slaw. Lone Tree Brewing Company’s Peach Pale Ale paired with iFish’s Ballpark Roll: A refreshing Citrus roll made with Tuna, Sprouts, and Cucumber, topped with Avocado, Scallions, Sriracha and lime; and then drizzled with Citrus aioli and cilantro. Crazy Mountain Brewery’s Amber Ale paired with Red Camper’s Spiced Dark Chocolate Chip Cookie with Anise Orange Cream. A Ritual Chocolate Chip molasses cookie topped with creamed mascarpone and Broken Shovels goat chevre , roasted anise and Absinthe Orange Deliciousness. The Post Brewing Co.’s Meathooks (a biscuit-y, toasted malt goodness Dark Mild Ale self-paired with GoodBird Kitchen’s (the in-house restaurant at Post Brewing) Chicken thigh rillette: rosemary cheddar biscuit with pimento goat cheese, red pepper jam & early spring salad. 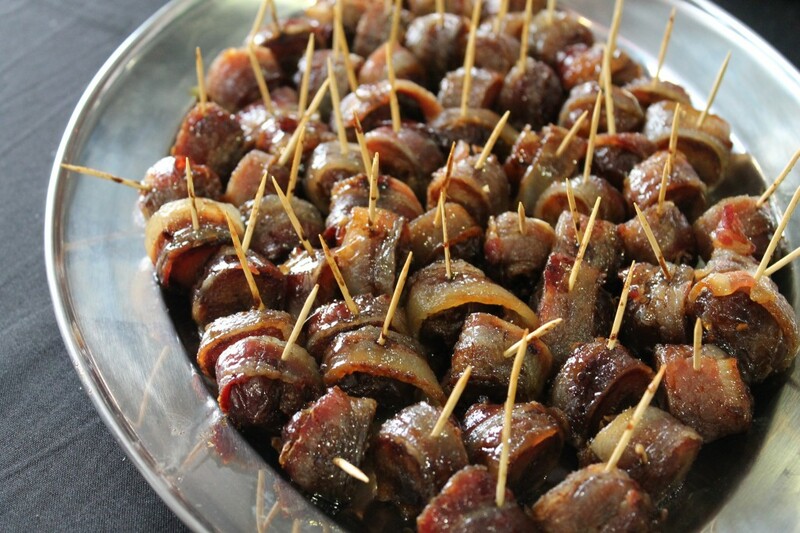 Black Bottle Brewery’s Hipster American IPA paired with West End Taphouse’s Spanish Chorizo stuffed Medjoul Dates wrapped in thick bacon. Yak & Yeti Restaurant & Brewpub’s Chai Milk Stout/Sweet Stout with chai tea spices self-paired with Chicken Tikka Masala: Himalayan IPA-marinated chicken in onion-based cream sauces with Indian spices. Wild Woods Brewery’s Molasses Brown Ale paired with Basta’s Campfire Ice Cream. So many other great pairings worth mentioning but, in the end, I believe we visited the West End Taphouse and Black Bottle booth as well as the Boulder Beer and Glazed and Confuzed booth the most. The addition of food to a beer event is a no-brainer. It definitely helped with the unlimited pours of delicious beer and I can only hope that more delicatessen food vendors frequent the halls of beer festivals to come. Moving forward in event planning, I believe the event folks at WOtR could have their event staff checking IDs in line while people waited outside so as to get people in the door a bit quicker (it took about half an hour) but other than that, it was a great first annual BruFrou. 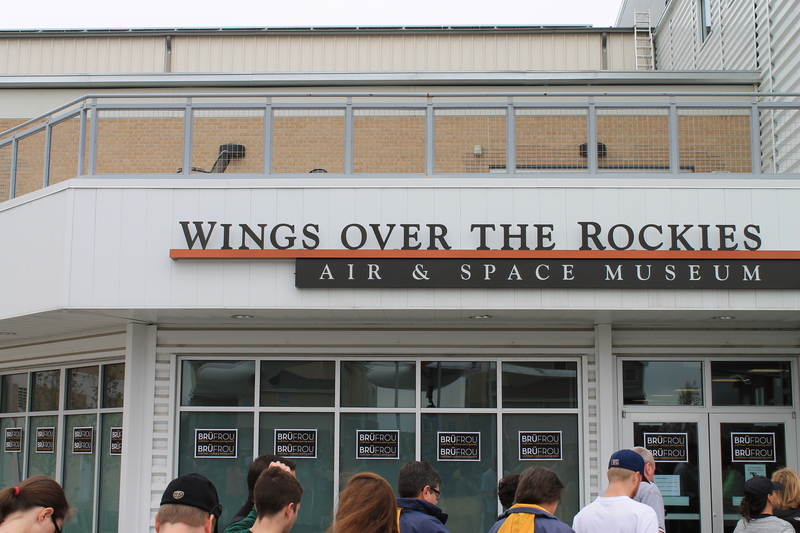 Plenty of room and space in the hangar, lots of friendly vendors and patrons. I look forward to attending this event in the future and I highly encourage you to do the same and to keep an eye out for events planned by An Idea Trading Company.